Pebble smartwatch has announced new color options for its watch, which are available for sale for a limited time. The new color options include Fresh Green, Hot Pink, and Fly Blue. They also come with matching bands, wearing the same color paint job on the bands as well. The new Pebble smartwatch color options are available for sale for the same non-steel variant’s $150 price tag, and can be purchased from the company’s websites. The new color options are available for a limited so you need to act fast if any above mentioned color fancy you. The company didn’t mention the number of units which are available for sale, but if we were to guess, we’d say they should’t be too high. 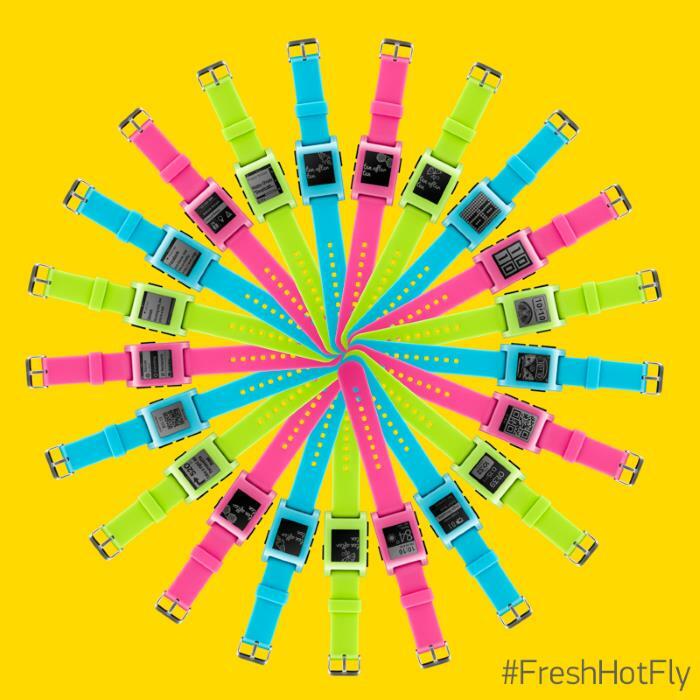 It’s time to be Fresh, Hot, and Fly with three Limited Edition Pebble colors Pebbles to kick up your style and sync with your fun side. This special production run of new colors are available now for $150 on getpebble.com while supplies last. Fresh Green, Hot Pink, and Fly Blue are standout shades that give any look the right dose of fun. Fresh, Hot, and Fly come with matching bands and—just like the rest of the Pebble lineup—are fully customizable with the skins and bands of your choice. We’re having lots of fun mixing and matching bands around between the different colors ourselves. Pebble has received its fair share of success since its inception, and even released its sequel in the form of Pebble Steel, a more decent looking version of the smartwatch. Anyway, if any of these colors looks attractive to you, head over to the Pebble website and grab it.